Here is a Friday Question that became an entire post. It’s very hard for me to write this (as you will see). There is no humor in today’s post. If anything it is heartbreaking and I cannot even think of this story without tearing up. Do You Have Any Wings? Asked this question about a film that David Isaacs and I rewrote, JEWEL OF THE NILE. 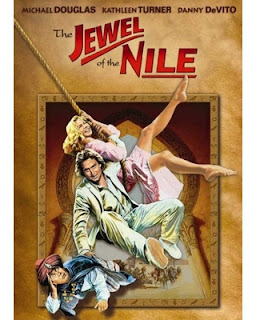 Kathleen Turner recently did a Q&A which featured this comment; "The only sequel I ever made was Jewel of the Nile. I'd made a contractual commitment when we did Romancing. And that almost destroyed my friendship with Michael. At first I refused to do the first script that they sent me of jewel. It simply wasn't the same quality in terms of the writing. But we worked it out, but not before they sued me for $25m dollars. Michael agreed to get the original writer back so we could continue." That was 31 years ago and I will be forever haunted by it. I can’t drive PCH without thinking about her, I can’t see a Porsche without thinking about her, I can’t see a Michael Douglas or Kathleen Turner movie without thinking about her. I certainly can’t watch ROMANCING THE STONE or JEWEL OF THE NILE without thinking about her. And maybe now, if you do any of those things you’ll think about her too. As a proud faculty member of UCLA I’m happy to say that the UCLA Extension Writers’ Program created the Diane Thomas Screenwriting Award in her honor. What a sad story! :( Thanks for sharing it Ken. And also very frustrating about the script! Do you still have a copy of the Thomas, Levine and Isaacs draft? First of all, deep sorrow over your loss, even 31 years too late. I'd no idea. That said... you really got me curious now. If your script was that good, is there a possibility of taking your efforts and rewriting it for a standalone movie? In much the same way another draft of "Beverly Hills Cop" was morphed into the Stallone vehicle "Cobra"? Just using different characters? Sad story, Ken. Very sorry to hear it. You need to do a blog post about this weird thing about actors or producer suing other actors to force them to appear in movies. An actor appearing in a movie totally against their will must make for the most tension-filled set ever. 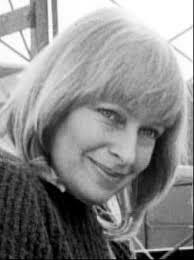 I had no idea of the story behind Jewel of the Nile nor about the very sad end to such a talent writer. The fact that you spent only a little time with her and all these years later still get emotional is a testament to both who she was, just as a person - and who you are as a person as well. Did she manage to improve the first act to your satisfaction? Very rarely have I enjoyed a sequel half as much as the original. My wife and I loved "Romancing". We chalked "Jewel" up to being the typical sequel curse. Interesting to hear the real story. Not only did Ken share a behind-the-scenes showbiz story that never fails to be captivating, revealing and educational, but he generously shared his humanity. I was enjoying the "Romancing" saga and didn't see that end coming. He certainly didn't either, which is why it's so damn powerful. If i recall my hollywood stories from Entertainment Tonight, Diane Thomas worked at a restaurant was waiting on Michael Douglas when she presented him with Romancing the Stone. He read it and bought it within hours. One thing I love about you in this blog, Ken, is how generous you are with your praise and with your sense of your own good fortune in being able to work with people who are so talented. But you exceed yourself with this story. And what proof of the randomness of life. Michael Douglas must wonder why he didn't just buy her a Chagall or something. But sometimes your number is just up. Nice that she's not forgotten. Ken, thank you for your willingness to share that with us. What happened with her screenplay for Spielberg? Truly a sad story, and thank you for sharing. One memory I have of both Romancing the Stone & Jewel of the Nile is both of those movies had special footage of Danny Devito talking to some guy in an old fashioned phone booth in the middle of nowhere in the trailers. Ending with a fourth-wall "and you're coming with me." Or like that. I should look them up but it's late. Did you have anything to do with that kind of writing for either promo, or for other movies beyond these two? A punch to the gut. That was a wonderful story but with an turn no one saw coming. God, I'm glad you shared it with us but so sorry the loss.